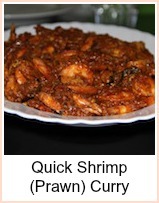 A very quick shrimp curry recipe. 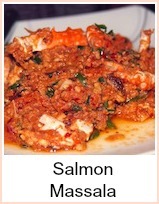 Using storecupboard ingredients and a pack of frozen shrimp, you can have this ready almost as quickly as a takeaway. 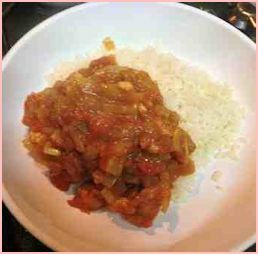 Using a curry powder lessens the need for lots of different spices in your cupboard - ideal if you want a curry for one person as things have a tendency to go out of date if you don't use enough. 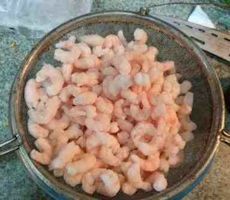 The first job is to defrost your shrimp if they are frozen. Tip them into a sieve and let them sit over a bowl. You can run them under tepid water to hasten the process a bit, then leave them to drain whilst you cook the curry sauce. 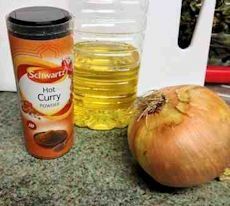 I use up to 2 Tablespoons of curry powder, but I suggest you start with one in case it's too strong for you. 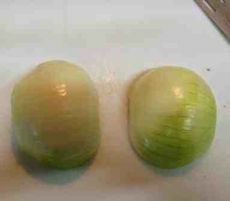 First of all, peel the onion, cut it in half and dice it. 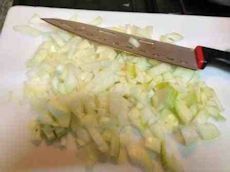 This is the easiest way - cut from root to tip, then turn the chopping board and cut across the slices - you can see here how you end up with small dice. 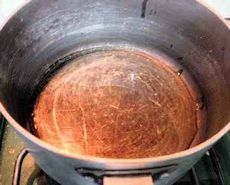 Put 2 T oil into your pan. 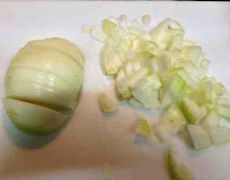 Bring it up to heat and add the onion. Fry gently for around 3 minutes until they are softened. 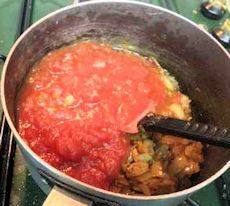 Stir it in well and cook over a medium heat for about one minute. 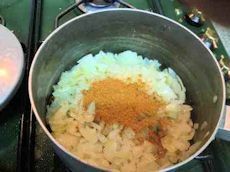 This will ensure the spices release their flavor and will also make a roux that will help the finished sauce be thick instead of watery. 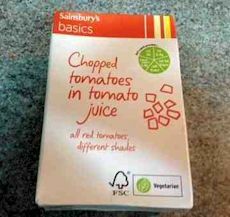 Add your chopped tomatoes or passata. 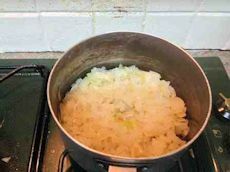 Stir it in well and allow to cook for about 15 minutes. 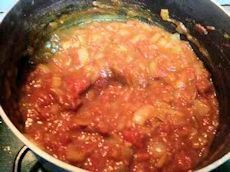 Give it a stir every so often - the sauce will thicken as it cooks due to the action of the cooked spices and oil which have made a natural thickener. You can see here how thick the sauce has become during this cooking time. 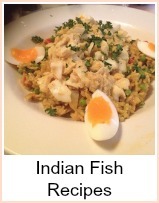 Serve with boiled rice for a quick meal. 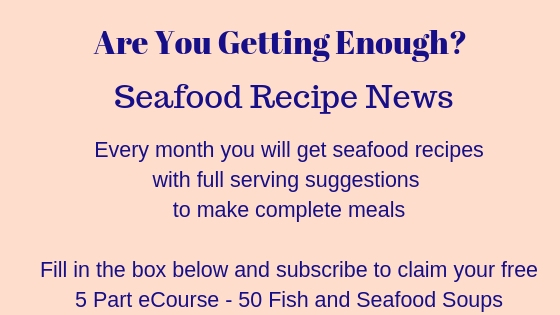 Poppadoms, mango chutney and minty yoghurt are also good as sides with this shrimp curry recipe. 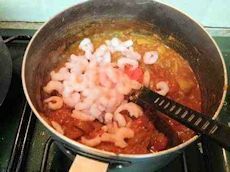 A very tasty, quick and simple basic shrimp curry recipe that you'll be able to put together from store cupboard ingredients, quicker than you can order a takeaway.